We all own a little "Japanese" in us, even if we don't, we're still somewhat attracted by Japanese automobiles, but we ultimately have to question: What makes us so attracted by these cars? Is it our pride in our race? Is the Fast and the Furious to blame? Initial D, Wangan Midnight? Drifting? All these questions base our knowledge on how we first started in this auto-world, but in all honesty, what we love in the past may have been long gone. The Honda Civics, Integras, CRX's, Del Sol's, MX-5's, Celicas, MR2's and more defined the "Golden-Age" of Japanese Imports. From then on, JDM culture seems to be long gone? Or has it? What is JDM? Japanese Domestic Market (or Motors *whatever fancies you*). A culture in which has broadened all around the world that is represented in many different forms of media such as: video-games, Manga, and Anime. A culture that brings about infinite crazy imaginations and no-limit racing (drifting & highway/mountain runs). Let's be real here (in my opinion), the last days of the golden age reached its last breath during the release of the DC5 and S2k. We either outgrew the culture itself and/or got bored waiting for a new toy. Mitsubishi has been long gone from that age and has recently gone up and down with their EVO line. Thing is, why wait for the next in-line engine? 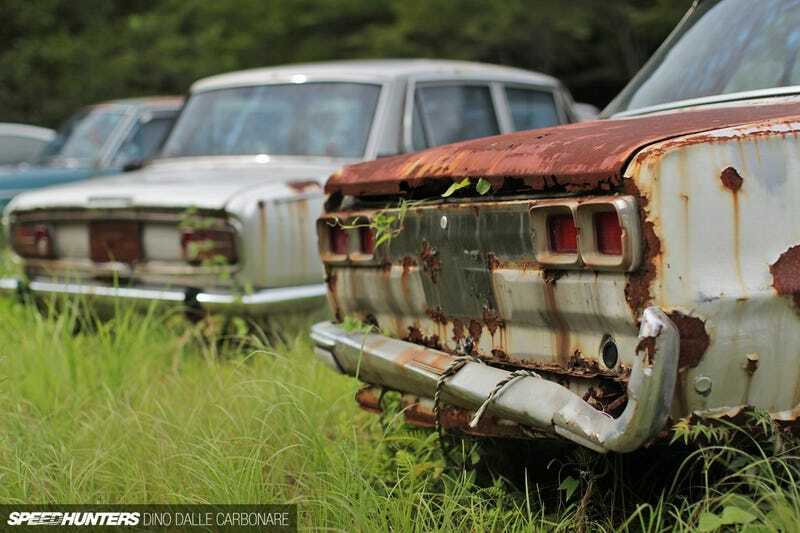 Why wait for a new release when there's plenty of used JDM cars to rebuild and mod? Back then, during the 90's and early 2000's, competition was way at hand within the Japanese automotive world. I believe that with every release, there's always someone that takes JDM to a different level and that's where competition lives on. We swap engines for better ones, we upgrade parts, and we flare our cars with decals (adds 10HP), vinyls, sport seats, or whatever to beat that "other" guy. Don't deny yourself because you know its true. We see someone with the same car, and we think to ourselves, which owner is better. Yes, the golden-age, has moved on and JDM, of course, is still around. Of course its not dead. AGAIN. ITS NOT. With the release of the GT86/FRS & BRZ, a new clash of JDM culture still roars through. You have Nissan releasing the IDX (510), Nismo's GTR and 370z, and of course a new Z is on the way. Toyota recently displayed their FT1 and they're currently working with BMW (Would be sick if it was a new MR2). Honda released their concept (hopefully it WILL be released) S660 and Kia is even throwing in a punch with their Stinger. A new age of JDM culture is booming with slammed cars, and VIP riders, and with the new stiff competition, JDM culture still lives on.